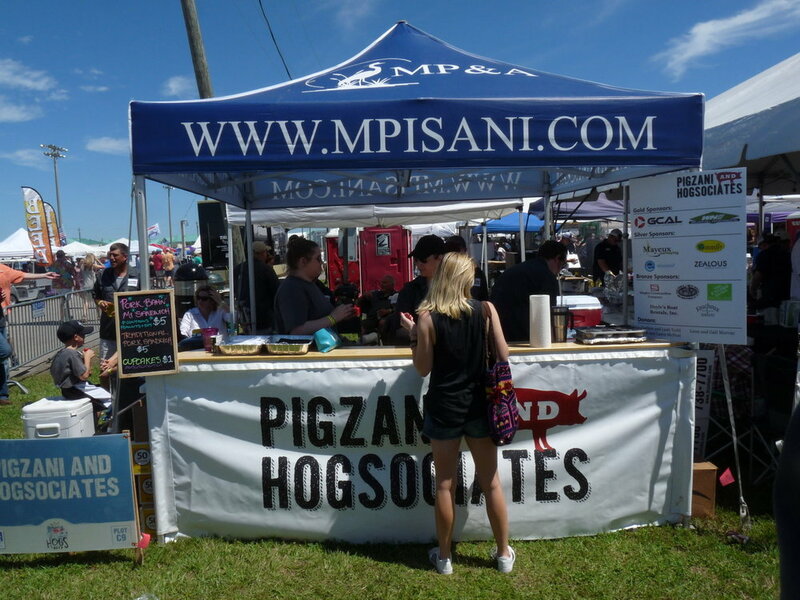 With the help of our team of sponsors, MP&A raised over $15,000 to support the Hogs for the Cause Charity BBQ event on March 23rd and 24th. The event was a tremendous success and food, family, fun, great BBQ, and gorgeous weather all combined to make this our best Hogs yet! Thank you for your generous support! Michael Pisani & Associates, Inc. (MP&A) is pleased to announced it has joined the ERM Group, the world's leading sustainability consultancy. ERM is a leading provider of environmental remediation, safety, and sustainability services to similar sectors and is committed to deepening relationships with our clients on the Gulf Coast. With the acquisition by ERM, MP&A will have greater access to resources and personnel to enhance our service offerings to our clients. 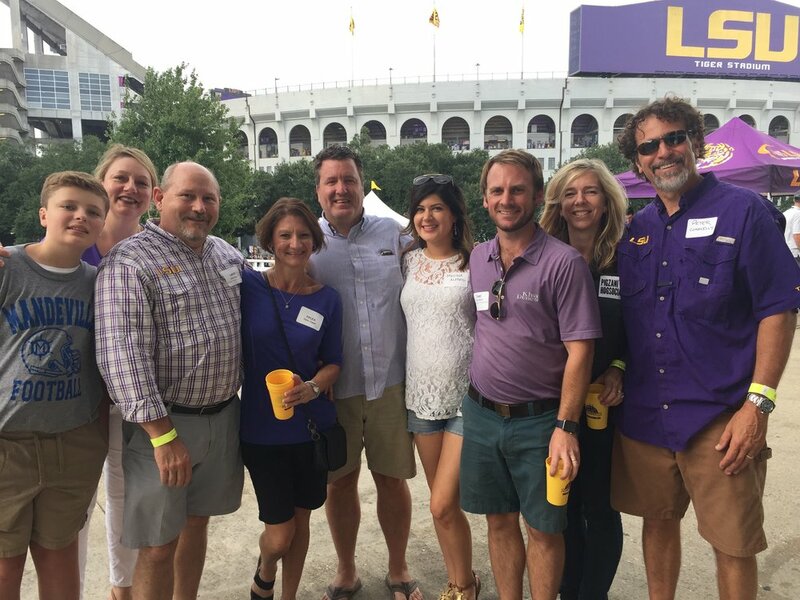 MP&A and client employees had a good time together and raised money for the Baton Rouge Food Bank on Saturday, September 23rd at the Pete Maravich Assembly Center at Louisiana State University. LSU beat Syracuse and the tailgaters raised $3,740 for the Baton Rouge Food Bank. Big Success! MP&A employees and their families came from New Orleans, Baton Rouge, Lake Charles and Houston to join the more than 30,000 people supporting the ninth annual Hogs for the Cause fundraiser the weekend of March 31, 2017. 90 teams served barbecue and raised funds for families with children battling pediatric brain cancer. The two-day event on the grounds of the UNO Lakefront Arena raised $1.3 million. MP&A and their family of sponsors raised more than $10,000 for the cause. Good barbeque, family and friends, good weather and a generous New Orleans spirit made the event a huge success on all levels. MP&A (aka, “Pigzani & Hogsociates”) has begun the prep for another round of food, fun, and fundraising to support Hogs for the Cause (http://www.hogsforthecause.org). Last year, MP&A and its sponsorship partners raised $6,000 in support of the Hogs’ mission and we hope to blow that total out of the water this year. Last year’s fundraising efforts earned us first booth location selection in our category and we have a primo piggy selling location right near the entrance of the new (and flood-proof) venue!!! Anyone interested in helping support us in reaching our fundraising goals, please feel free to reach out to our Office Manager Diana Graham (dgraham@mpisani.com) or our Hogs Committee Chairman Gray Adams (gadams@mpisani.com). All donors will have their logos posted at our booth for all festival entrants to see. We hope to see you there March 31st through April 1st at the Lakefront Arena Festival Grounds! MP&A employees are helping the company grow! We have welcomed five new babies this year! Dr. Helen Connelly’s daughter Hannah introduced a new family member when she married her husband Peter in October! We joyfully welcome all to the MP&A family!